Gracefield Dental is a premier, purpose built state of the art dental practice. Located less than an hour from Dublin city centre it lies on the border between counties Laois, Offaly and Kildare. Our dedicated team have been delivering the highest level of professional services in Midlands Ireland for more than a decade. We take the time to fully understand the individual needs of all our patients and create a personal treatment plan to achieve the best results. Utilising the very latest technology, techniques and materials we produce results that meet and very often exceed our patients’ expectations. Dr Jerome P. Sullivan qualified from Manchester University in 1993. He graduated with a Diploma in dental implantology from the Royal College of Surgeons (UK) in 2011. In addition to achieving this prestigious qualification, he was awarded an inaugural gold medal for the high standard of his clinical cases. In 2012 he returned to London's Eastmann Institute of Dental Excellence, adding a qualification in conscious sedation and pain management to the Restorative Diploma he attained in 2001. In more recent times Dr Jerome P. Sullivan has become increasingly involved in the field of platelet rich growth factor. He now uses this technique, in combination with his other skill sets, to deliver reliable implant implant solutions to patients with complex dental needs. Dr Nuno Santos was born in the USA where he lived until he was eleven before he and his parents returned to Portugual. In 2006 he qualified as a dentist from Lisbon University and remained in Portugual for the next eight years in general practice. 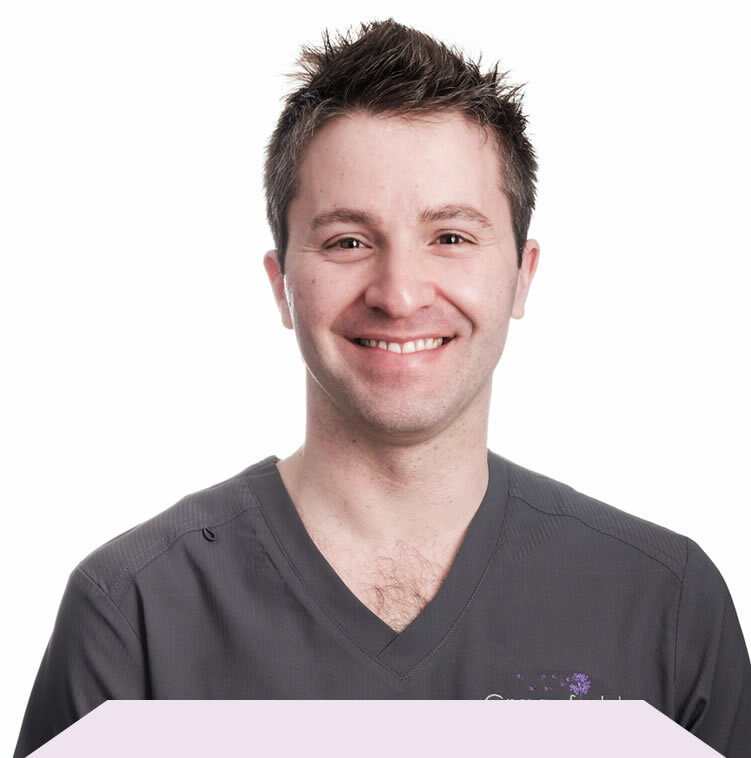 Enthusiastic with an ambition to advance his career, in 2014 he and his wife emmigrated and joined us at Gracefield Dental. In a relaxed and friendly atmosphere, Dr Santos immediately puts his patients at their ease. He has a plethora of international postgraduate educational programmes behind him, covering areas of treatment from aesthetic dentistry to endodontics to implantology. Likeable, well-educated and skilled, Dr Santos always strives to deliver the high quality treatment outcomes his patients desire. 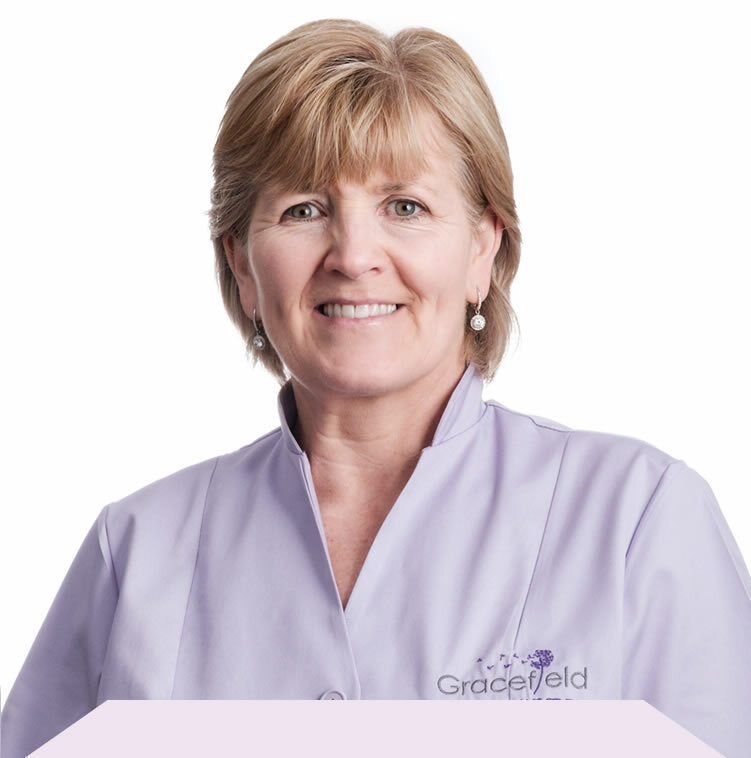 Ruth is responsible for the smooth day to day running of Gracefield Dental. Her primary concern is for the patients, making sure all their needs whether clinical or clerical are being handled sensitively and efficiently. 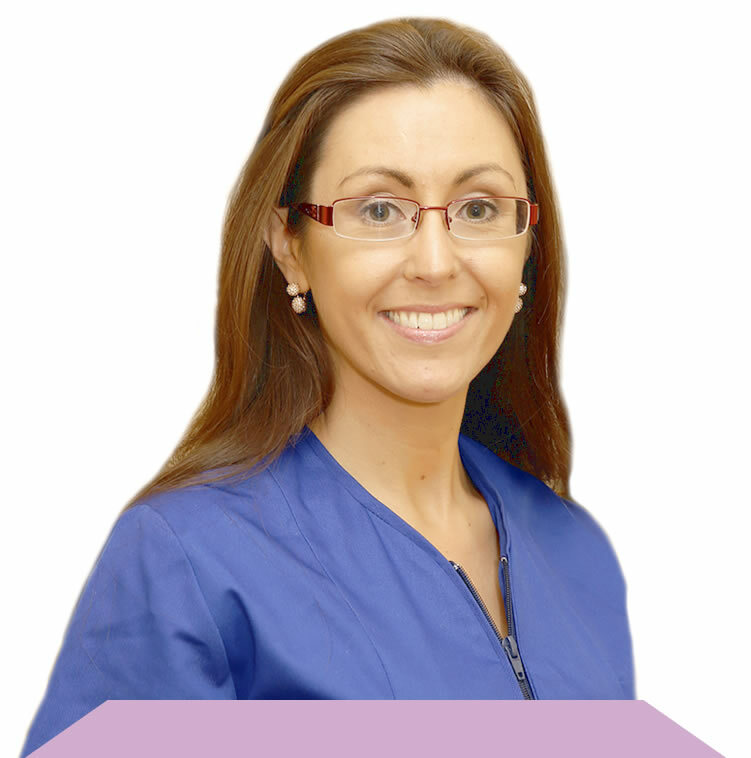 She is highly trained and qualified in all aspects of management and was primarily responsible for Gracefield Dental attaining accreditation from The Royal College of Surgeons, London, one of the very few Dental Practices in Ireland to have received this prestigious award. 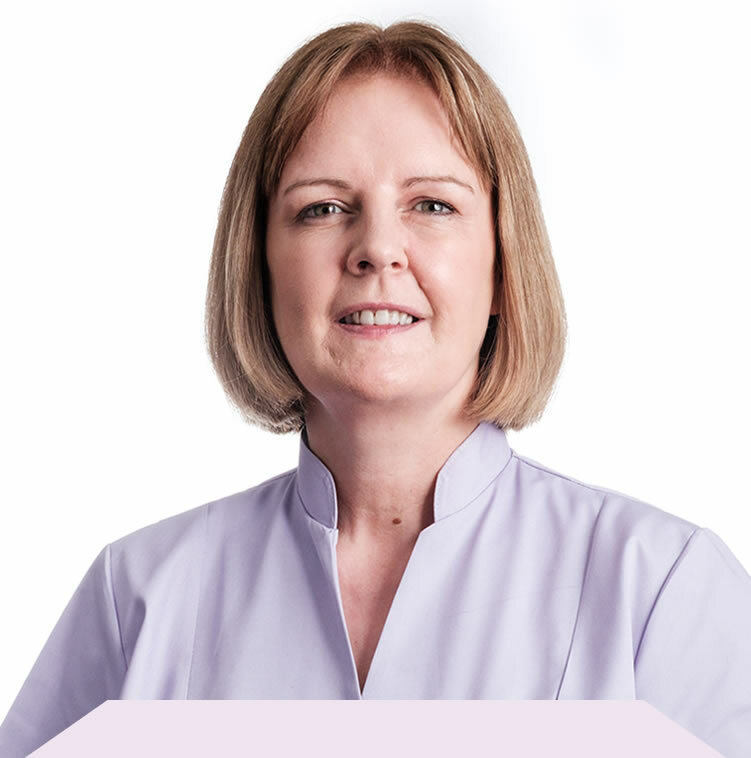 Tanya is one of our senior dental nurses whose role over the years has evolved from purely clinical to one that now involves assisting Ruth in the daily running of the practice. Present from the opening of Gracefield Dental, she has been a stalwart and vital member of staff since 2005. Tanya was awarded her National Diploma in Dental Nursing in 2008 from The Royal Victoria Hospital Belfast. She then went on to train for her Certificate in Dental Implantology Nursing at Trinity University. 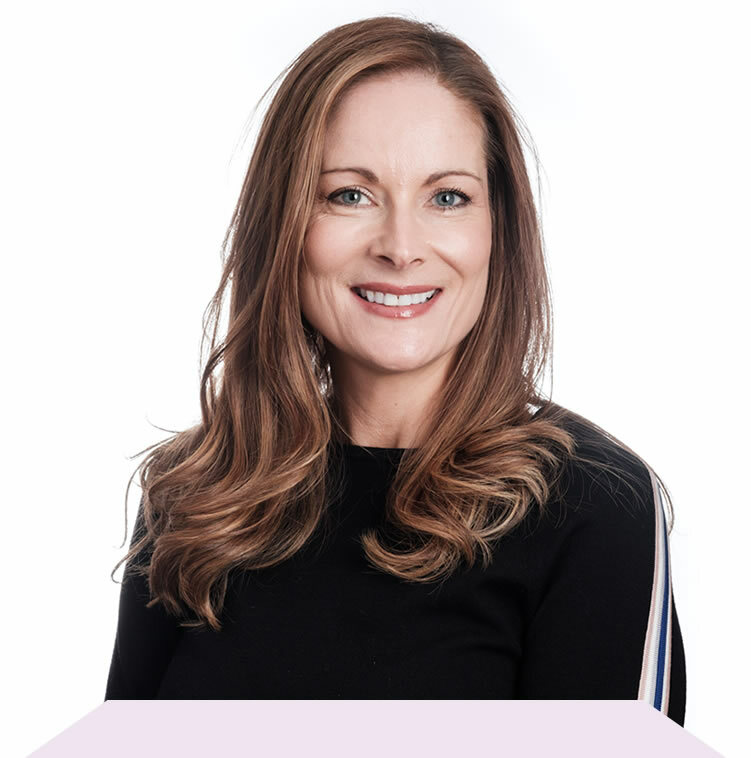 Tanya is very highly regarded by our team of dental surgeons and all our patients, providing an expert level of service and care. Tanya likes to keep very fit and has won national and international titles in Kettle bell weightlifting. 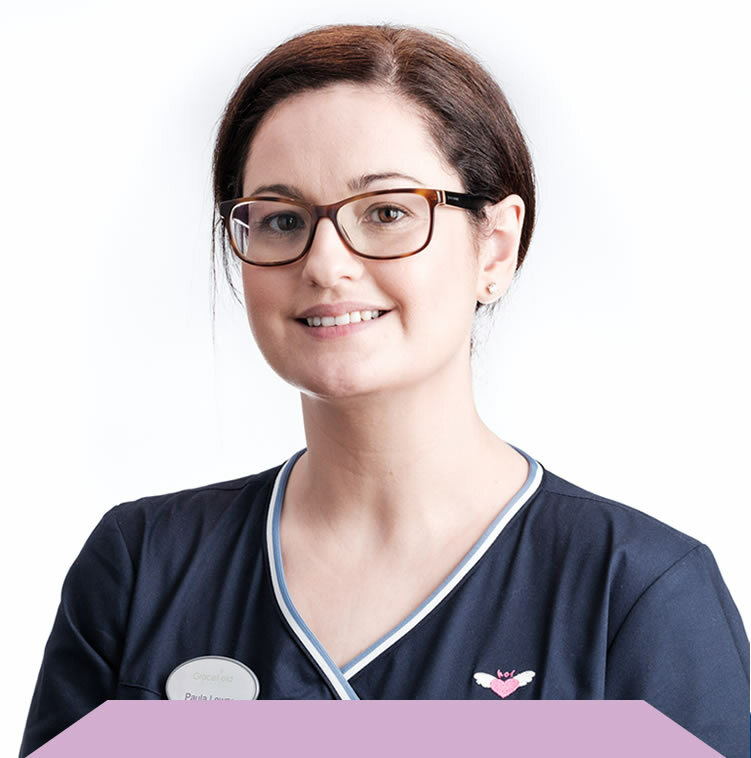 Sarah joined our team in 2011 and gained her National Diploma in Dental Nursing in 2015. Through her hard-working attitude, professionalism and dedication she quickly advanced to become one of our senior clinical nurses. 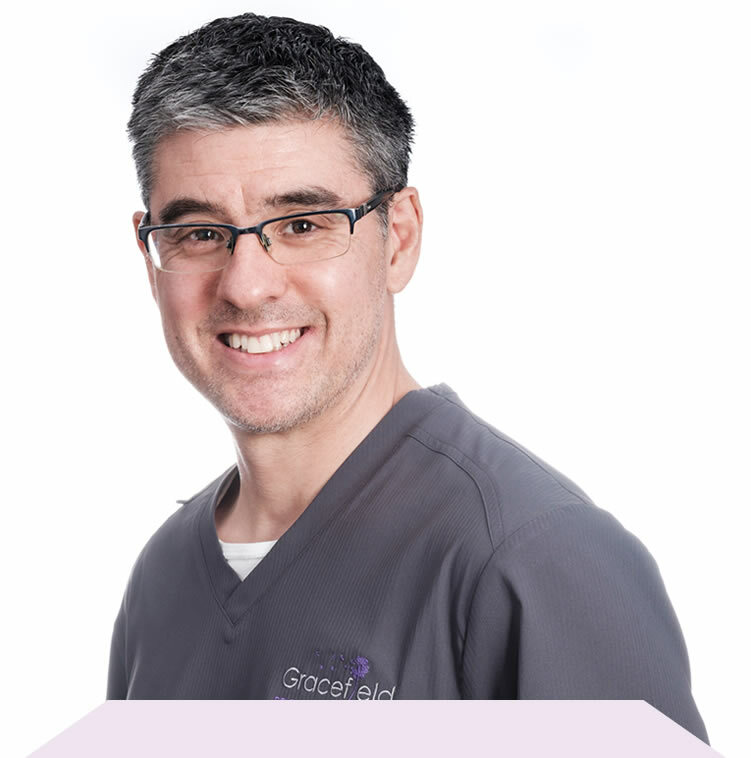 Over the years, having assisted Jerome in many complex clinical cases, she has developed great experience and expertise in the area of dental implantology and oral rehabilitation. Sarah is also a very active and respected member of her local community. Aside from being personally responsible on more than one occasion for the local Christmas illuminations, she has been at the centre of many worthwhile causes. 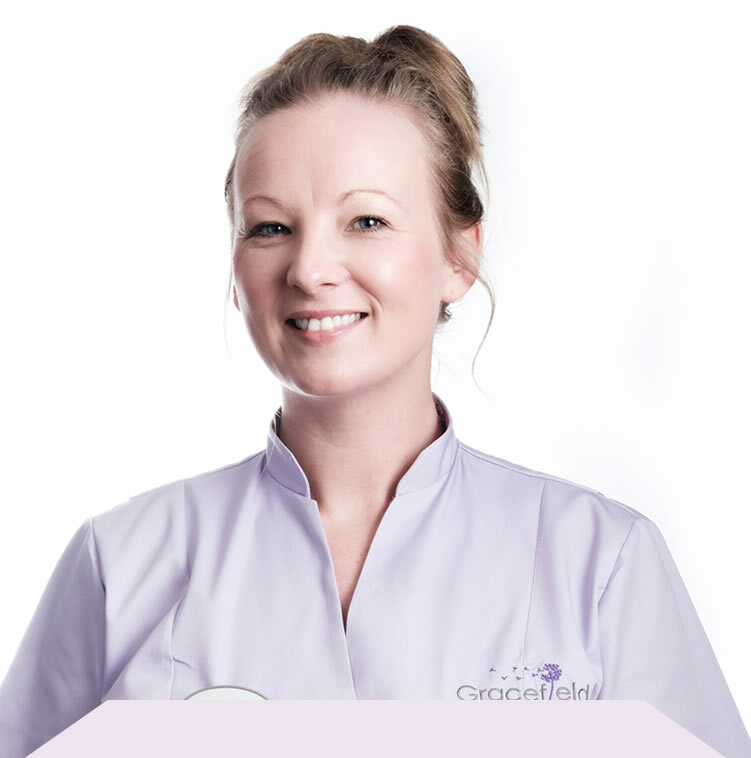 Michelle began at Gracefield Dental in 2012. Having worked as a clinical pathology assistant in St James Hospital for nearly twenty years, it was evident from the start that Michelle had all the attributes to become an integral part of our team. Energetic, always cheerful and meticulous in her duties, she has risen to become another one of our senior clinical nurses. She qualified from Trinity University in 2015 and has a special interest in intravenous sedation. Michelle spends much of her spare time training and running marathons for charitable causes and in 2017 completed a total of seven. Caroline qualified with distinction in 2010 from Athlone Institute of technology and has been a valued member of Gracefield Dental since 2015. Very organised and blessed with impressive communication skills, she is responsible for liaising with our world class dental laboratories, ensuring that all lab work is back on time for each individual patient. In her clinical role she assists in general dentistry as well as dental implantology. Caroline also fulfills reception duties where her insightful, understanding nature helps to keep patients informed and relaxed about their upcoming appointments. Witty and intelligent, Caroline keeps the whole team smiling. Sinead completes our team of dedicated nurses. 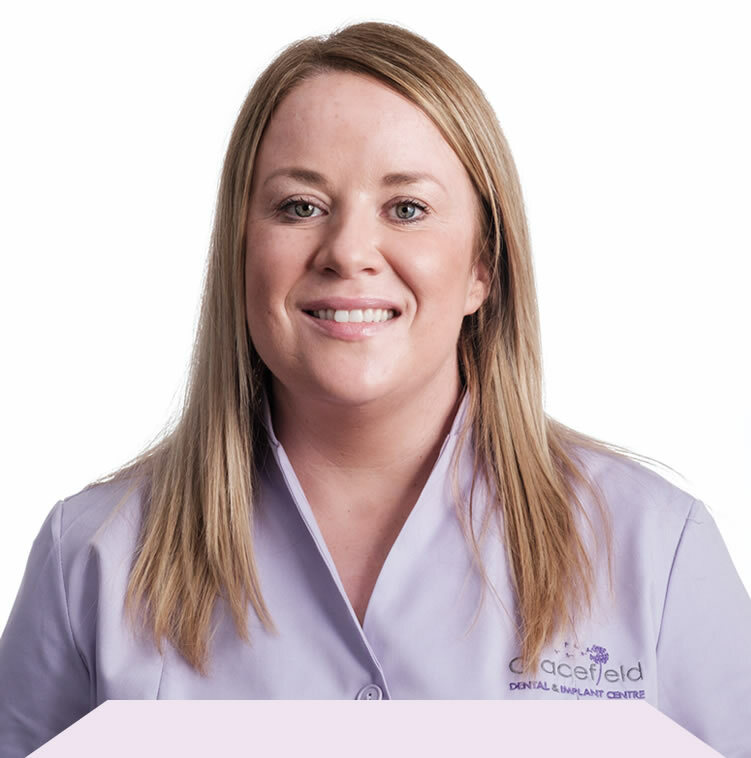 She is the newest member of Gracefield dental having come from a background of general nursing. 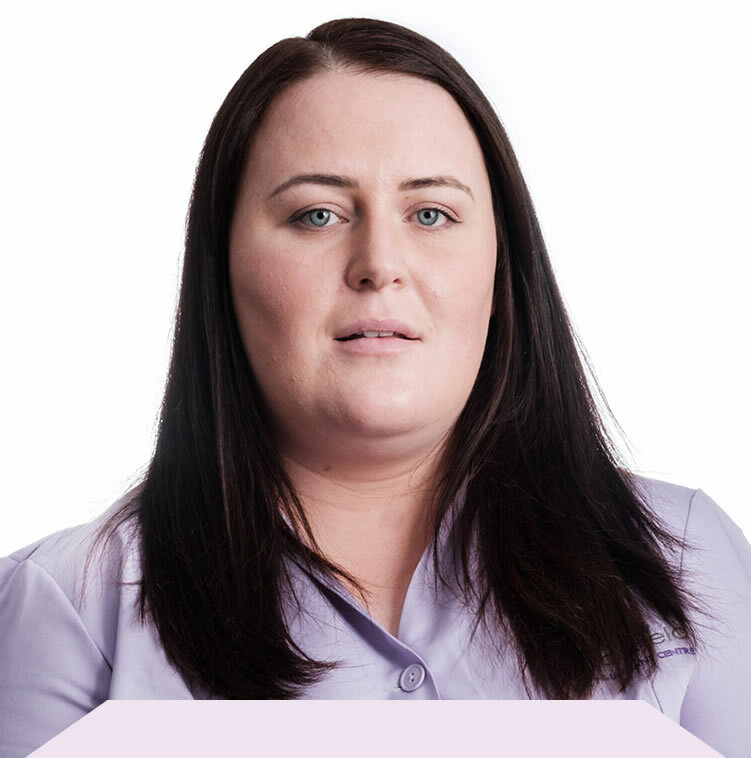 Sinead’s efficient and enthusiastic approach to her work makes her very popular with both staff and patient’s. She is currently training to become a Registered Dental Nurse.